We supply bespoke custom merchandise and clothing to businesses, teams and individuals throughout Surrey and London. We’re based in Chessington, just a 20 minutes drive from Hersham and easily accessible via public transport. This means you can easily chat to our staff in person about your requirements, and there’s no need to worry about online companies getting your order wrong! In Hersham, we currently work with dozens of like-minded individuals to supply solutions to their promotional needs. Our range of apparel includes accessories, bags, custom uniforms, footwear, headwear, leaver’s hoodies, leisurewear, safety and hi-vis clothing, sportswear and work wear. If you are looking for a classy, upscale look, embroidery is just what you need to enhance your brand image. Embroidery is our most popular service, and creates a highly professional, sophisticated look which lasts longer than some other processes. We supply Embroidered Workwear, Polo Shirts, Sweatshirts and many more items from leading brands. Digital Transfer prints are a cost effective way of putting full colour logos and designs onto garments. Printed onto special transfer paper, this ensures the quality of the image is not compromised, and the colours stay vivid on both dark and light fabrics. Garment printing is the most in-demand option for customising apparel. It is very cost-effective for high quantities, and allows for more extravagant and detailed designs to be printed on T-shirts. This is an idea solutions for low order requirements. 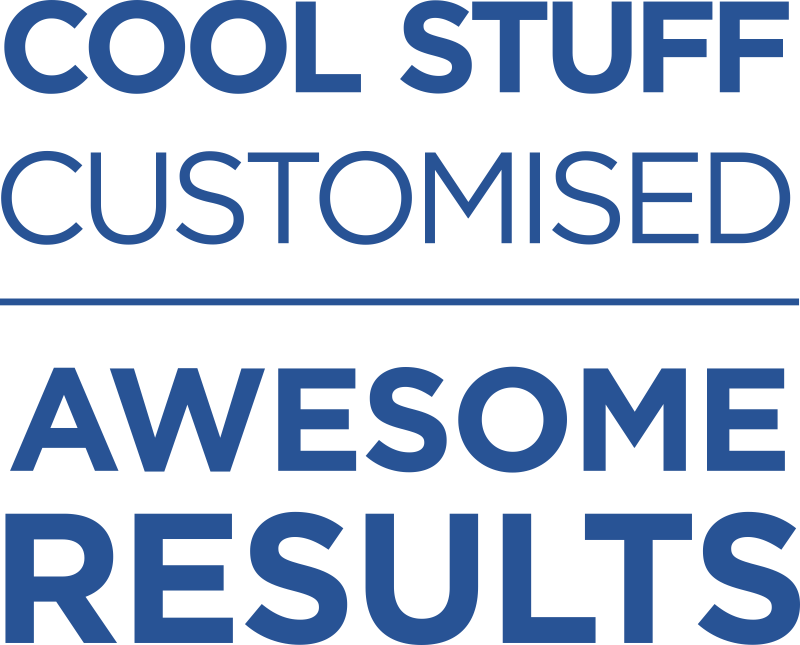 Custom screen printing gives you the ability to put your brand, logo or message on a wide variety of products, from T-shirts, polo shirts and hoodies - It offers you a flexible way to promote your business or team. Vinyl Printing is ideal for low volume orders or for things such as names and numbers on sports kits. Although a similar process to Digital Transfers, Vinyl is generally only used for one colour designs or texts that aren’t too complex. 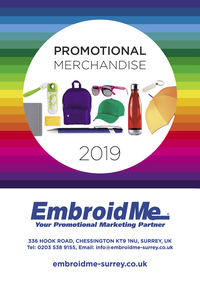 We offer our services as promotional marketing specialists to businesses in Hersham looking to broaden their customer base and increase profits. Branded Promotional items can help you gain new clientele and doesn’t have to break the bank. At EmbroidMe, we can supply customised items that suits your needs.